What's your next big project? Whether you're building a new home or renovating an old barn, you may be surprised that the variety of applications you'll find for our corrugated metal panels. We fabricate sheets for roofing, flooring, and siding as well as corrugated panels for decorative use. Corrugated sheet metal is lightweight, easy to install, and provides and attractive and durable construction solution that's practically maintenance free. Have you completed a project using corrugated metal panels? Send us some photos and we'll feature it in our idea book! We believe a little inspiration can go a long way, so take a look at our posts below and see how CBS can bring your build to the next level. There are many ways to decorate a bedroom. It can be as challenging as it is exciting. Most people don’t think of using corrugated sheet metal to enhance the look of a room. Corrugated metal brings any shower to life with it's unique modern look and it's ability to blend with any environment, inside and out. Corrugated metal's weather resistance and minimal maintenance make it an ideal choice for building additions to your outdoor spaces. Corrugated metal brings a distinct touch to any interior project. In this post, we explore how metal panels can be used in mantels and fireplaces. Have you ever considered downsizing to a tiny house? 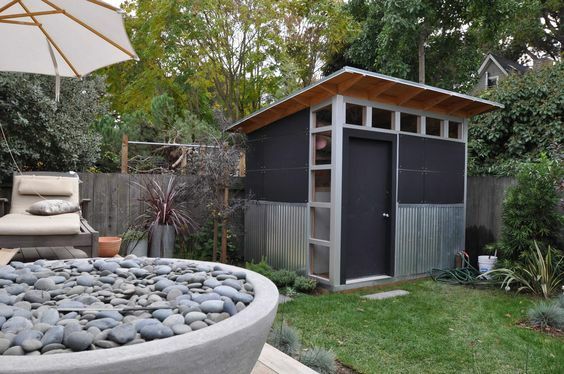 Take a look at how some creative builders have used corrugated metal to do just that. Organize your tools, toys, and more in a sturdy, attractive tool shed built with rugged and affordable corrugated sheet metal from us. Corrugated metal panels are versatile materials for indoor design. From rustic to modern styles, you can achieve a wide variety of styles. Need a new fence for the backyard? Corrugated metal panels are resilient and versatile solutions! Discover the various looks you can achieve and be inspired! This easy DIY planter utilizes corrugated metal to achieve a distinctive look that will be at home in any back yard. A truly unique project! This barn utilized corrugated metal panels for its roofing and siding. 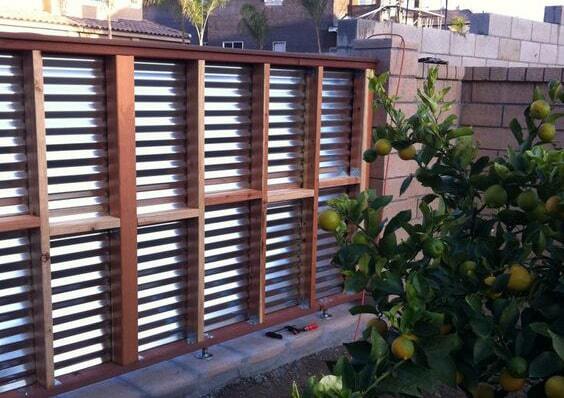 The result is an attractive, maintenance free structure that was easy to install.